For the success of this wondrous project the people of spirit worldwide should identify themselves with the idea that their contribution is absolutely necessary. 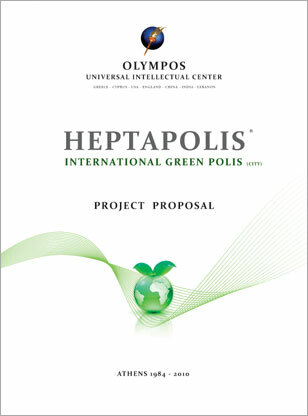 If you are a teacher, a university professor, a researcher, a scientist, please state your qualifications and skills so that the committees of “HEPTAPOLIS” can assign you the appropriate position. If you are a writer or a journalist working for the Mass Media, please state your qualifications and expertise so that the committees of “HEPTAPOLIS” can assign you the appropriate position in the department of Public Relations. If you are a businessman, an industrialist, the director of an Institution or a Corporation, the Head of an Educational Institution or a Financial Organization, please contact us and state your intent to participate in the construction of the schools in the KYTTARON, or in the ZOSTER.